Finding tech-talent is always challenging for startups. One way of addressing that challenge is with "Tech Partners" - also known as outsourcing firms, consultants etc. I call them Tech Partners because they can come in early in your company process and actually build the entire technical platform together with you as a partner, or work with a CTO to move product development forward. I've met several startups that have used outsourcing firms - with varying results. That's why I decided meet recommended outsourcing firms in Stockholm and list them here. I've also included a design consultant specifically tailored to early stage startups that can help with mock-ups, web design, logo design, and much more. If you have feedback, please let me know. A Design Driven Software Studio. Jayway combines Scandinavian creativity and technology to swiftly transform ideas into realities on mobile, web and in the cloud. Clients include Telia, H&M, Nokia, King as well as a wide range of Startups. "Can’t get your startup off the ground? Have a great business concept and some funding, but no technical co-founder or development team? With our code-for-equity program, we lower the thresholds for great startups by giving you access to the very best for much less cash upfront." "Codebuilders AB is a B2B software development company that specializes on creating mobile solutions. They believe in the power of mobile applications to help any businesses improve and scale. Located at the heart of Stockholm, we are fully invested in helping you jumpstart your business with mobile solutions today. Our list of clients range from large established companies to growing startups ready to embrace the endless possibilities with their smartphone consumers." IdeaBits is an agile, full-stack technology partner specialized in helping startups scale and succeed. They offer a full-range of competencies including development, UI/UX, testing, project management and business analysis. IdeaBits offers high quality yet affordable solutions, including cash-equity deals, making them an ideal long-term tech partner. Some of the startups in their portfolio include Nextory, Sniph, Yobber and Urban Living. Indpro is a global outsourcing firm with over 10 years of experience. They've worked with companies ranging from Mathem to Fortum where they in some case have built their entire technical platform. They offer a flexible solution where they can come in as consultants or essentially become your own extended tech-team. Indpro can help with a wide range of things in web development, E-commerce, mobile apps and system development..
Sensei Works is a full-stack production agency that specializes in startups and advertising agencies. They can help with everything from wireframes, prototypes, MVPs (Minimal Viable Products) and complete, fully functional apps. The company can even support in the product development phase to find optimal product-market fit. Sensei Works is also the first company in Sweden that offers outsourcing to Ethiopia and they have a commitment to triple-helix in supporting education, the economy and society in order to build a strong tech-community in Ethiopia. Otivr offers a one-stop B2B Marketplace with exclusive access to pre-screened and top-rated Software Developers at the best rates on the market! Get access to 10 000+ IT developers within minutes with a wide range of services like Web development, E-commerce, Mobile apps and Cloud services. Otivr's Swedish speaking personnel will assist you through the whole outsourcing process from the partner search to setting up safe payments and delivery. Register on our Website or contact us at sales@otivr.com to learn more about how we can help you outsource your IT development at competitive rates. VNTRS is a Stockholm based consultant/investment company that helps entrepreneurs and large corporations to build innovative digital products and services. "With our experienced tech team of iOS, Android, frontend, backend and UX/UI developers together with market/strategy competence and a great investment network we help companies in every aspect of their early journey. Our beloved business model where we, instead of only accept cash as payment, also reinvest parts of our fee for equity that all VNTRS employees takes part of, makes us the ideal tech-partner that really cares about your digital product or service." Prototyp is a codelab that helps companies break new ground. Examples of startups they have helped are Elsa, TipTapp, Minnemera, Matsmart and Furhat Robotics. 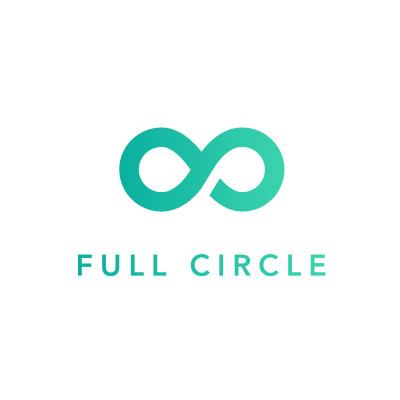 Full Circle is a UI/UX Design Studio for Startups and Innovative Enterprises. The team can help with Digital Design (UX/UI, Web Apps, iOS/Android), Wordpress (Themes, Plugins, Workshops), Content (Content Strategy, Video Production, On-Page SEO) and Conversion (Split Text Design, Opimizely, Analytics). Full Circle has worked with big companies such as Comviq and SL as well as startups such as Gastronaut.